On March 11th, 2019, President Trump released his official Proposed Budget for 2020 and now I can show you exactly what he’s planning on doing to Federal Student Loan Debt Relief Programs. On March 18th, 2019, President Trump’s Administration announced another potential change to student loans, but focused on the borrowing side. Apparently President Trump wants to reduce the $57,000 lifetime Federal Student Loan Borrowing Limit to a number that has not yet been announced, which is a huge threat to anyone looking to fully cover college costs via Federal loans. I’ll keep a close eye on the news and update this page any time that updates are announced, so be sure to check back regularly as things can change on a daily basis. Are President Trump’s Proposed Changes Good News or Bad News? That really depends on who you ask, how old you are, and what your specific financial situation looks like. If any of these changes are put into place, they will only apply to loans issued after 2020, so everyone already in repayment is going to be able to continue on with the plans and programs they’ve already got access to – your benefits are not going to be taken away! Now, with that said, let’s go through each of the points of President Trump’s student loan reform plan in detail so that we can fully understand exactly what’s been proposed here, and how it might impact you. Yes, President Trump is suggesting completely eliminating the Public Service Loan Forgiveness Program, which in my opinion is a terrible idea, but on the bright side, he’s offering to create a new Forgiveness Program that’s almost as good, and with far fewer restrictions. 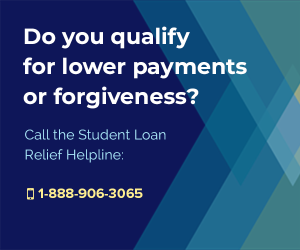 Under PSLF, people who work full-time for the Government in any capacity, including at the Federal, State or Local level, or for a 501(c)(3) Nonprofit, are able to qualify for complete Federal Student Loan Forgiveness Benefits after making 10 years of Income-Based Payments on their loans. 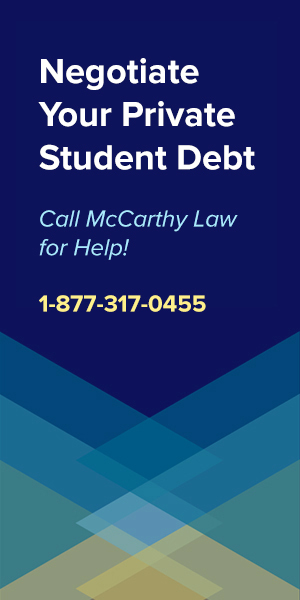 For details on how to get forgiveness by working for the Government, see my Guide to Federal, State and Local Government Employee Loan Forgiveness Benefits, and for details on how to get forgiveness by working at a 501(c)(3), look at my Guide to Non-Profit Student Loan Forgiveness Benefits. Perhaps the biggest benefit to PSLF is not just that it forgives whatever debt is left over at the 10 year mark, but that borrowers get to walk away from the forgiveness amount without paying a single penny in income taxes. People who do not work in a qualifying Public Service position (meaning not for the Government or a 501(c)(3) obviously don’t have access to PSLF, but they are currently able to eliminate their loans after making 20 years worth of payments, so they do have a path to eventual forgiveness already. However, unlike those who have their debt forgiven under PSLF, ordinary borrowers who get their loans forgiven at the 20 year mark ALSO have to pay income taxes to the IRS on whatever amount of debt they end up having forgiven, which can end up being incredibly expensive. While President Trump wants to take PSLF away, he is suggesting that we create an entirely new Forgiveness Program that’s open to EVERYONE, and which offers complete student loan forgiveness benefits after making 15 years of payments (for undergraduate borrowers) and 30 years of payments (for graduate-school borrowers). Details have not yet been shared on whether the new forgiveness plan would allow people to walk away from the forgiven debt without paying income-taxes on it, but my guess is that they WILL be taxed on whatever amount of money gets forgiven. I will update this page as soon as that part of the process is made clear. Basically, this change means that borrowers who go into Public Service will have to wait 5 more years until their loans are forgiven, while borrowers who do NOT enter Public Service will be able to get their loans forgiven 5 years earlier. This is a loss for those entering into Public Service, and a win for those who don’t. It’s a decent trade off that will most likely help more people than it hurts in the long-run, but of course, I hate the idea of taking benefits away so I’m against this update. Also, keep in mind that President Trump tried to kill PSLF last year in his 2019 Proposed Budget, which failed to pass, so there’s really very little indication that this even has a chance of going into effect. Here’s another recycled piece of President Trump’s Proposed 2019 Budget, again, attempting to eliminate Subsidized Federal Student Loan Programs, like the Stafford Loan Program. What are Subsidized Student Loans? They’re loans that don’t accrue interest while borrowers are in school or in Deferment or Forbearance due to economic hardship. Basically, they’re the types of loans that cost substantially less, because the Government doesn’t make as much for lending the money in the first place (due to reduced interest collection). I don’t think this is a horrible idea, because having Subsidized and Unsubsidized Student Loans becomes a confusing process, making it harder for people to understand the benefits they’ve got access to, but because the biggest problem with student loan debt is interest capitalization itself, I don’t think this is a great direction to be headed. BTW, interest capitalization, or accumulation, is the reason why people can end up paying for student loans for 5, 10, or even 15 years, but never actually getting anywhere on eliminating their debt. Anyone who pays less than the interest accumulation amount is actually wasting money, because the loan balance will just keep growing over time anyway. 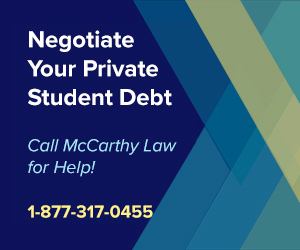 If you’re in the situation where you can’t even afford to cover your interest payments, and don’t think you ever will be able to, then it’s time to look at your options for Getting Student Loans Discharged via Bankruptcy. Next up is President Trump’s plan to eliminate all of the existing Income-Driven Federal Student Loan Repayment Plans and replace them with a new, single plan, which I’m sure he’ll call “President Trump’s Student Loan Repayment Plan” or the “Trump Loan Forgiveness Program”. Personally, I do think that our current batch of available Income-Driven Plans leave a lot to be desired, especially because some of them are so similar to each other, but also because none of them are truly excellent. As we can see, there are some Pros and Cons to the new proposed Income-Driven Plan, and deciding on if this is good for bad for you depends on several factors, including what sorts of loans you’ve got, what repayment plan you’re on now, how much money you’re making and what your short vs. long-term financial goals are. To speak to this proposed change more generally though, the biggest downside to the existing Income-Driven Plans is that while they do reduce monthly payments (so lower short-term costs), that leads to taking more time to pay off the debt, stimulating more interest to accumulate and capitalize, and thus leading to a much more expensive loan at the end of the day (with much higher long-term costs). Plus, even when you do eventually reach the forgiveness threshold, after having made 20 or 25 years worth of monthly payments, you’re going to be taxed on whatever amount of debt you do get forgiven, and then you’ll need to pay the IRS that amount in a single, lump-sum payment, which is disastrous for most borrowers. For details on how that process works, make sure to look at my Guide to Student Loan Forgiveness & Taxable Income. So, in my opinion, this idea of introducing a more streamlined Income-Driven Repayment process is a good one, though the one thing I need to know is whether or not it will require the forgiven debt to be counted as taxable income after the 15 years worth of monthly payments have been made. If the new plan does NOT tax the forgiven debt, then I see this as a net win, but if it DOES tax the forgiven debt, then it’s not necessarily a good thing. I haven’t seen any specific details about how this process works, as there haven’t been annoucements about when a borrower is determined to be “significantly” behind in their payments, which IDR plan the borrower would be enrolled in, etc., so I can’t really comment on this one yet. However, I do want to say that I think this is a net WIN for borrowers, because one of the biggest problems with student loan debt is that people just get buried in it, then they get lost trying to figure out what they should be doing with it, and then they give up trying to deal with it entirely. Instead of leaving these people hanging out to dry, I do think it’s a great idea to automatically enroll them into an Income-Driven Repayment Plan, which should help give them some breathing room to save up funds and get back into normal repayment. We’ll have to see what all the details of this process end up looking like, however, before I fully agree that it’s a good idea. There are so many ways for things like this to go wrong that I’m withholding my judgment, at least for now. This is definitely a net loss for anyone who is married just files taxes separately. Basically, the old rules allowed you to file taxes separately and thus qualify for a lower monthly payment because your spouse’s income would basically be hidden from the calculations. It sounds like one of the big tenets of Trump’s proposed plans is to eliminate this loophole in the monthly payment calculation process, which I’m actually all for. Why? Because I feel like people who are married are able to abuse the system and take advantage of this as a benefit, which leaves single people left behind. One of the big problems with the way our student loan repayment system has been set up is that there are basically people who gets all the benefits and gains, and others who are left out in the cold completely. This is one of those little loopholes that not too many people even know about, but which rich folks, well-connected people, and basically those who CAN actually afford to make the proper payments are able to skirt around. Ii’m ok with this update going into place as long as it’s universally applied to everyone, everywhere, as I think that will make it a more fair system. I haven’t seen the full details for this part of the proposal yet either, other than to note that the budget wants to “freeze” the maximum Pell Grant award (instead of allowing it to get higher each year as college expenses rise), which is a double-edged sword. First, as long as we keep allowing people to borrow or simply GET more money (Grants don’t even require you to pay the money back, remember), the schools will continue to raise their prices, since they know students can simply just ask the Government for more money. In the long-run, this is a bad situation where schools don’t even have to attempt to reduce costs or keep them consistent, because they feel like the Federal Government will just keep increasing funds so they can basically charge whatever they want. And that, my friends, is a terrible cycle for the American Taxpayer, because it’s our tax dollars that get spent on these loans and grants, which then gets funneled to the very same schools who aren’t doing a thing about controlling inflating costs. However, if we do freeze the maximum amount a Pell Grant offers, and the schools simply choose to keep increasing pricing anyway, then that’s just going to hurt low income students and basically continue leaving them out in the cold, unable to attend school without taking on additional debt. So, I’m a little either way on this one. I like the concept of reducing costs, I am not necessarily a huge fan of Grants in the first place (since I like the concept of loans requiring you to pay them back, basically forcing you to be responsible and do something with the money you were given…), but I do like the idea of making higher education accessible to everyone, including very poor people, so I’m torn here. Details are a little scant so far on this tenet, but apparently what President Trump wants is for colleges, schools and training programs who receive Government funding via student loans to start sharing some of the financial responsibility for Federal Student Loan Delinquencies and Defaults. There’s no telling if this will actually go into place, or what exactly it will look like, yet, but perhaps the rule would be something along the lines of the idea that schools can no longer expect to be paid by the Federal Government should their students default on their loans. My thinking is that this is an attempt to get schools to be more choosy about who they decide to admit into their programs, ensuring that applicants are actually good potential candidates, rather than anyone with a Social Security card. This could certainly reduce the tax burden that we all share in terms of being forced to divert tax dollars away form more important programs thanks for all the defaults that are on the books (SOMEONE has to pay for those defaulted loans, and even if you aren’t aware of it, that someone becomes YOU, the American Taxpayer! ), so I kind of like the concept behind this, but I’m worried about how it will impact the college admissions process. This change proposed change may not seem like a big deal at first, but I can guarantee that it would have a major impact on availability of higher education, the types of programs on offer at each school, and that it would lead to a variety of other changes that may not be anticipated at first-glance. I am personally not a fan of this proposal because I think it could cause way more problems than it solves, like further exacerbating the income gap, racial disparities in access to higher ed and federal funding, etc. The rest of this post goes through historical proposals, like President Trump’s previous Budget Proposals, to help put the new suggestions into context. One thing you’ll notice is that the President keeps suggesting the same thing year after year, but again, because he can’t force any of these updates through into law, and requires Congressional approval, there’s a really good chance that many of his recommendations will never make it through the approvals and funding process. The only good I can report about President Trump’s plan for student loans is that it hasn’t been passed yet, and I’m crossing my fingers and toes that it never sees the light of day without being heavily modified. Why? Because the President’s proposed 2019 Budget looks to be an absolute disaster for student loan borrowers, especially for anyone planning on taking advantage of the incredible Public Service Loan Forgiveness Program, which is still the best program in existence for eliminating Federal student loans. Fortunately, all his proposed changes won’t go into effect for anyone who has already borrowed, or for anyone who borrows BEFORE July 1st, 2019, so existing borrowers, or people who can borrow before that deadline, won’t be impacted by these changes. Under the current Federal Student Loan laws, borrowers who choose to utilize Income-Driven Repayment Plans have their monthly payments capped at 10% of their discretionary income, and are then eligible to receive forgiveness after making 20 years worth of payments. President Trump’s plan seeks to increase the monthly payments to 12.5% of discretionary income, while reducing the length of time it takes to receive forgiveness, from 20 years to just 15. This is bad for borrowers in the short-term (because their monthly payments will be higher), but better in the long-run, for most borrowers, because they’ll receive forgiveness sooner (at 15 years instead of 20). As a side note, the numbers above only apply to Undergraduate Loans. Graduate Students will need to make payments on their loans for 30 years before being offered forgiveness, which is a really terrible deal, especially as Graduate Students are typically dead-broke upon graduation. Keep in mind that anyone already in repayment won’t be impacted by these changes, as I mentioned above, which is good because it means your payment won’t go up, but bad because it means Trump isn’t proposing to do anything about fixing the broken system that has trapped millions of Americans in essentially inescapable levels of student loan debt. PSLF, or the Public Service Loan Forgiveness Program, remains the most powerful, best possible Federal Student Loan Forgiveness Program on offer in 2018, but President Trump’s Proposed 2019 Budget would END THE PROGRAM ENTIRELY! The way PSLF currently works is that you’re able to receive complete student loan forgiveness for any Federal loan if you agree to work full-time in a qualifying public service position (which could be any role as a Government employee at any level, Federal, State or Local, or any role at a 501(c)(3) Non-Profit Organization, as well as some other positions that count as “Public Service”) and make payments toward your loans for 10 years (120 monthly payments). 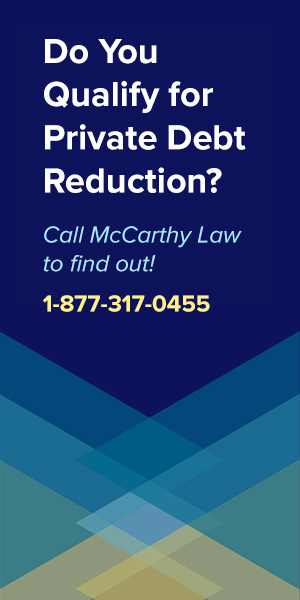 President Trump’s Administration claims that PSLF costs have spiraled out of control, and that eliminating the program would save taxpayers $203 Billion over the next decade, but the Congressional Budget Office disagrees with this number and says it’s closer to $100 Billion in savings over the same time period. That’s still a big savings, but I’m totally opposed to cutting support for this program because it’s VITAL to people who get into low-paying public service positions; positions that the rest of us benefit from. Either way, if Congress goes along with President Trump’s Budget, without amending it, then PSLF is toast, and we can kiss the best Federal Student Loan Forgiveness Programs goodbye. Impacted programs would include the Obama Loan Forgiveness Program, Non-Profit Worker Forgiveness Program, the Government Employee Forgiveness Program, the Nursing Student Loan Forgiveness Program, part of the Military Loan Forgiveness Program, and several components of the Teacher Loan Forgiveness Program. This is a big deal, and the worst change to Federal loan forgiveness laws I’ve seen in the ten years I’ve been monitoring this space. Currently, most people who borrow money from the Federal Government for undergraduate degrees get some of their loans subsidized, which means that their loans won’t accrue interest while the borrowers are still in school. Unfortunately, President Trump’s Proposed Budget seeks to end this program entirely, which would mean that borrower’s will start accruing interest on their loans basically from the day they’re taken out, which is a HUGE deal. 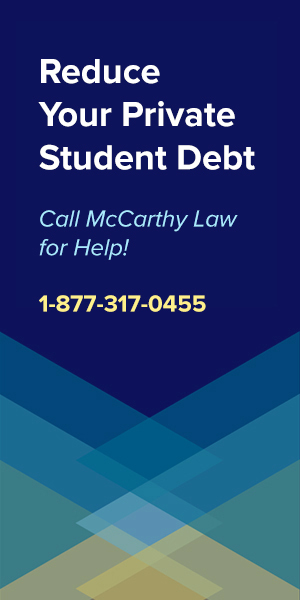 I’ve read some rosy reviews of this approach, as it’s been noted that this will allow borrowers to end up paying less over the lifetime of their loans since they’ll qualify for loan forgiveness earlier, but it also means that they’re going to graduate with much more inflated debt than they currently do. Personally, I think this is a terrible idea, as INTEREST is the biggest problem with student loans, especially for people who have trouble paying them back out the gate, and who end up owing way, way more money than they ever thought they’d be responsible for paying back. This is definitely going to change the math for would-be college students who can’t afford to pay for their higher education costs without assistance, and I think it’s a huge step in the WRONG DIRECTION for the country, and the student loan debt crisis. If you have questions about any of this, please feel free to ask in the comments section below, but do remember that NOTHING WILL CHANGE UNTIL CONGRESS PASSES THE BUDGET. That means we still have time to organize and attempt to force the Federal Government to REJECT President Trump’s proposed changes, and actually do something to help existing borrowers struggling with their loans. What’s President Trump’s Plan for Student Loan Debt? Like him or not, President Donald Trump’s original proposed Student Loan Forgiveness Program sounded better than anything anyone else had ever suggested, but it turns out that he is probably not going to be known as the Student Loan President, because his Education Secretary Betsy DeVos has basically declared all-out war on student loan relief. And that’s sad, because Candidate Trump’s plan for student loan debt reform looked likely to save borrower’s far more money than the current Obama Student Loan Forgiveness Program, unless you are one of the lucky few who qualifies for PSLF benefits, because it offers complete debt forgiveness 5 years sooner than President Obama’s plan. However, like many of Donald Trump’s other proposals issued during the hotly contested 2016 Presidential Election, very little actual progress has been made on enacting this program into law, and everything we’ve seen from Trump and DeVos has signaled that they are 100% against expanding student loan forgiveness benefits. I am no longer optimistic, at all, that President Trump will reform student loan debt in a way that will provide meaningful relief to borrowers, and I think both Federal and Private student loan holders will be sorely disappointed by whatever program ends up being created as a result of Trump’s presidency. What Was Donald Trump’s Original Student Loan Forgiveness Plan? While Candidate Trump’s proposal sounded amazing to me because the offer of receiving complete loan forgiveness 5 years earlier than Obama’s program (which requires 20 years worth of payments) was likely to save a lot of borrowers a great deal of money, I no longer think that anything like this will be enacted, and personally, I think if President Trump does make any changes to student loan laws, they’ll make things worse for borrowers. Why? Because he and Education Secretary Betsy DeVos have tried to prevent Obama Loan Forgiveness benefits from being given out, have tried to shut down the Public Service Loan Forgiveness Program, and attempted to stop Borrower’s Defense Against Repayment Applications from being processed by the Department of Education. I wish President Trump would go back to the stance he took as Candidate Trump, because his original plan was incredible, offering forgiveness 5 years earlier, meaning borrower’s would have been able to receive forgiveness far earlier, making 60 fewer monthly student loan payments, and potentially saving tens of thousands of dollars. I’m Worried About What Could Change – What Should I Do Now? You SHOULD be worried about the potential changes to student loan laws, because things are pretty likely to get worse before they get better, especially if Trump and DeVos’s recent moves are a sign of where we’re headed. If I still had ANY outstanding student loan debt, I would be working day and night to ensure that I was signed up on the fastest, most powerful Federal forgiveness programs available, and if I thought I had any chance at getting a discharge approved via the Borrower’s Defense Against Repayment Program, I’d be submitting that application immediately too. In fact, I think that President Trump is such a threat to the student loan debt status quo that I’d recommend all borrowers have a professional debt expert review their loans, their debt, and offer advice on what to do to ensure they’re protected from any future legal changes. 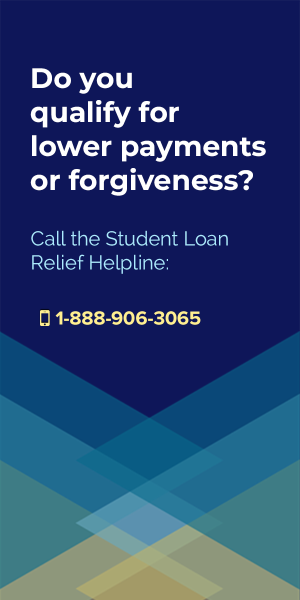 My advice to you is to call the Student Loan Relief Helpline today, as they’re the only debt relief company I trust, and the only company I think offers valid advice on how to deal with your outstanding student loans. Your first call to the Helpline is free, and you’ll only be charged if you agree to have them provide a detailed service, like a debt consolidation or some other form of assistance to help reduce your monthly payments. 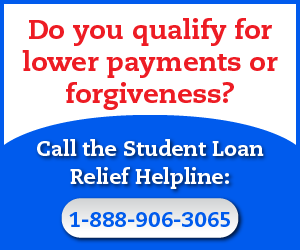 To reach the Student Loan Relief Helpline, call 1-888-906-3065 now. How does President Donald Trump’s student loan plan compare to the existing Obama loan forgiveness plan? 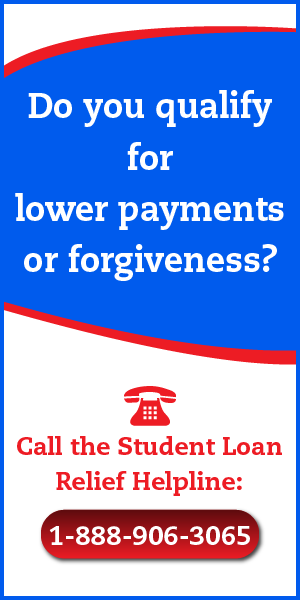 While the Public Service Loan Forgiveness Program would remain the best student loan debt forgiveness option (if Trump didn’t take it away, which I’ll cover below), President Trump’s proposed plan is likely to improve the financial situation for most borrowers, since a very small portion of the population actually qualifies for PSLF benefits, and Trump’s plan is significantly better than the current Obama forgiveness program. However, one thing to keep in mind is that President Trump’s proposed reforms only cover Federal student loans, and that there’s been no mention of Private Student Loan Debt Forgiveness, which is the most troublesome frontier of the student loan industry, and the side of the student loan debt coin that needs taming the most, since it’s causing far more problems than Federal loans. President Trump said that he’ll be able to raise the money to pay for these increased Federal costs by decreasing Federal spending in Education and other areas, but no details have yet emerged to show precisely how that would be done. Also, I’d like to note that there would likely be some Federal savings made by removing the excellent Public Service Loan Forgiveness Program benefit, which will cost the Federal Government many millions of dollars each year by offering complete student loan forgiveness after just 10 years worth of payments are made, but that I disagree with the idea of removing this program because PSLF truly is the gold standard of student loan forgiveness programs, and the model that all forgiveness programs should emulate. In fact, I would absolutely hate to see the Public Service Loan Forgiveness plan cancelled, especially because so many people have chosen to take out absolutely massive student loan debts to attend very expensive colleges and universities on the promise that their debt would be cancelled after they’d made 10 years worth of payments. Pulling the rug out from under these people would not only be a terrible thing, but also politically risky, as there’d likely be a ton of outrage over the decision. Hopefully, President Donald Trump will realize the risk before it’s too late, and amend his proposal when it comes time to actually write the rules of the law. And if he doesn’t wake up to that fact in time, then I’m at least going to take some comfort in the idea that the Doctors, Lawyers, Dentists and other professionals with extremely expensive degrees who are counting on PSLF benefits to wipe out their loans won’t be afraid to use both their money and their political capital to lobby for retaining the program. What Other Student Loan Changes Has Donald Trump Discussed? 1. Stating that the Federal Government should not be making any money off student loans. In my opinion, this means that he either wants to get the Government out of student lending entirely (which could be a good thing, but is pretty scary considering the state of the Private student loan industry) or could be a signal that be’d be willing to decrease interest rates to zero, or perhaps to match inflation (which would be an excellent thing for future borrowers). 2. Suggesting that he would wipe out the Public Service Loan Forgiveness Program, and replace it with his 12.5% repayment, forgiveness at 15 years plan, which I’ve outlined above. Again – I think this is a scary prospect, especially as the first people to receive forgiveness under PSLF will be eligible in October of 2017, and that if President Trump removes the program, that forgiveness eligibility could very likely lead to all sorts of political turmoil and financial distress. 3. Talking about reducing college tuition costs by forcing schools and universities to reduce their extreme administrative expenses. I find it highly unlikely that President Trump will be able to make any ground on this tenet of his plan, especially considering he was elected by a Republican (Conservative) population who is not too keen on financial regulation. Personally, I think this part of his plan was an empty campaign promise that he doesn’t plan on fulfilling. 4. Saying that he would reduce federal regulations on schools and universities so that they don’t have to spend as much money on legal and compliance costs, which would allow them to pass the savings on to students. I could believe that he would repeal some of the existing compliance regulations, but I doubt the schools would actually pass those savings onto students (unless they were forced to do so, which a Trump Administration doesn’t appear likely to do). 5. Requiring that Colleges and Universities spend their endowment money on students, rather than on investment packages, administration personnel, etc., which should help reduce tuition costs. President Trump even went so far as to threaten cutting federal tax breaks for schools that didn’t comply with some sort of regulation around this topic. Again though, a Conservative enacting regulation of a business? Seems unlikely to me. 6. Threatening to remove tax-exempt status from any schools that don’t actively work to reduce the costs of their degrees, credentials and certificate programs. This too feels like an outlier promise, and something that he only said to sound good on the campaign trail. I just don’t see a Republican President passing new regulations on an industry as large and powerful as higher education. Most of these discussion points would make things better for existing and future Federal student loan borrowers, but a few of these proposals are definitely scary as well. Unfortunately, there’s no way to predict which of Candidate Donald Trump’s discussion points will turn into President Donald Trump’s policy objectives, so for now we’ll all just have to keep our fingers crossed that he adopts the positive positions and forgets about the stuff that would harm borrowers. What Hasn’t President Trump’s Proposals Covered? 1. What will President Trump do about tax liabilities for forgiven student loan debt? Will people need to claim amounts forgiven as income on their annual tax filings, or will they get a tax break or credit of some sort that prevents them from facing financial ruin? Student loan debt forgiveness is only useful to most people when it does not create any sort of additional tax liabilities, which could absolutely destroy the finances of people who would be able to continue making small monthly payments, but who could never hope to raise a huge amount of money for a large lump-sum tax payment. 2. What will President Trump do about reforming bankruptcy laws? 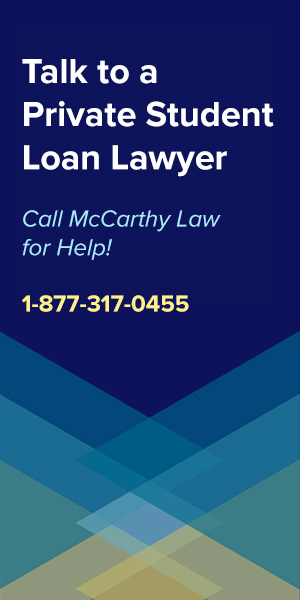 Will he reform Student Loan Bankruptcy Law to allow people to discharge their student loan debt via bankruptcy proceedings? Or will President Trump continue on the previous tack that makes it extremely difficult to get rid of crushing student loan debt, unless it’s literally preventing you from affording food, shelter and clothing? Does his experience in using bankruptcies as strategic business tools mean he’ll have a soft spot in his heart for borrowers currently buried in excessive student loans? Or will his Republican Conservative leanings mean that there’s no hope for bankruptcy reform? 3. What will President Trump do about runaway private student loan debt, which is literally destroying entire segments of the population with runaway inflation, insane interest rates and excessive penalties and fees? Will President Trump try to wrangle the private lenders, forcing them to offer some kind of forgiveness, repayment assistance, or other financial benefit to the destitute borrowers who have no hope of ever paying back their loans? Will he open up bankruptcy opportunities for private student loan borrowers? Or will he simply ignore the situation entirely like President Obama did? I’m not sure what President Trump will do about any of these topics, but I am sure that his response (or lack of response) to them is likely to have a bigger impact on student loan debt and the student loan industry than will the introduction of his 12.5%, 15 year forgiveness plan. Tackling the tax liability, bankruptcy laws, and private student loan debt topics could turn President Trump into the Student Loan President, but it’s too early to tell what he’ll do, as he’s been embroiled in other tasks, and literally entirely ignored the topic of student loans. The only thing that’s for certain is that me, you, and the rest of the country will be watching his comments on student loan debt closely, looking for signals about which way the Trump winds will blow, and preparing ourselves for the potential benefit (or fallout) that massive student loan reforms will generate. 100 Days Into the Presidency, What’s President Trump Accomplished? Candidate Trump said that the student loan system was an overly-complicated mess, just like our tax codes, and made it quite clear that his opinion was that it needed to be reformed. I agreed completely with this statement when he made it, and I still do think it should be one of his top priorities. I also remain optimistic that President Trump could dramatically improve the system by reforming it with Executive Orders, and I’m particularly looking forward to this happening because it should make things better for most Americans who struggle with excessive student loans. However, while President Trump’s proposed plan to fix the student loan debt crisis was originally introduced way back during the Presidential election, and while some of his proposed reforms definitely look like a great idea for many of the 44 million Americans struggling under excessive student loan debt loads, I haven’t seen any signs that they’re actually going to get implemented any time soon, if ever. In fact, as far as I know, Donald Trump himself hasn’t even said the words “student loan” since he originally made these promises, and, as far as I know, no one from his Administration has signaled that any of his student loan promises will become policy initiatives at any point in the near future. Perhaps it’s because he’s been bogged down by Healthcare Reform, the Syrian Crisis, and 24/7 attacks on the character, qualifications and potential corruption of his cabinet members and advisers, but I still don’t want to give him a pass for failing to address anything related to student loans after becoming President way back in January. After 4 months in office, Trump has accomplished absolutely nothing related to student loan reform, which is a huge bummer as I was anticipating swift activity and some major improvements. The fact is that Donald Trump has not followed through (at all) on his promise to reform the Federal student loan debt system, and that millions of Americans who voted for him because of this promise have been left out in the cold. President Trump promised to streamline the student loan repayment system by replacing all of the existing Federal Student Loan Repayment Plans with a single, simple repayment plan. And that’s a great idea, because the current state of the Federal student loan repayment system is a complete mess. There are simply too many plans, with too many nuances, requiring too many calculations, and way too much stress in the process of deciding which repayment plan to enroll in. Every day, people ask me whether they should be using one of the traditional plans (The Standard Repayment Plan, the Graduated Repayment Plan, etc.) or one of the newer Income-Based Repayment Plans (the Pay As You Earn Plan, the REPAYE Repayment Plan, the Income-Based Repayment Plan and the Income-Contingent Repayment Plan), and the reality is that it’s almost impossible for me to answer that question, because there are so many financial factors to take into consideration. What makes this worse is that I write about this stuff on a daily basis, and even I have trouble determining people’s best course for getting rid of their loans as quickly and cheaply as possible. The average American, worrying about their job, healthcare, politics, family, etc., has far too much on their mind to be bothered with this stuff. Because of the current overly-complicated repayment system, I like this part of President Trump’s proposal, and I think it’s a great idea to get rid of the many repayment plans and replace them with a single plan. My only request is that the new plan, which I presume will be labelled the Donald Trump Student Loan Repayment Plan, needs to make things better for all Americans, and that’s where I start to have concerns, based on the next tenet of what President Trump has proposed. President Trump proposed streamlining Federal Student Loan Forgiveness laws by doing away with all the specialty, niche programs, and replacing them with a single program that offers complete forgiveness after making 15 years worth of payments. This would improve things for most American borrowers, but it’d make things worse for anyone who qualifies for the excellent Public Service Loan Forgiveness Program, or one of the other specialty-career based forgiveness programs. I don’t have any problem with the proposal to streamline Federal Forgiveness benefits, because they’re over-complicated, arcane, and mysterious, and they leave many borrowers ineligible since advanced forgiveness benefits are only available to certain people with very specific jobs, but I do not like the idea of taking benefits away from anyone. The part of Trump’s proposed student loan forgiveness reform that I completely disagree with is the idea that instead of making things better for everyone, his plan would make things slightly better for most people, but much worse for people who currently qualify for the Public Service Loan Forgiveness Program, one of the Military College Loan Repayment Programs, or any of the other specialty forgiveness programs. Again, I totally agree that Trump should refine the Federal Student Loan Forgiveness Program, and I agree that it’s a good idea to offer a simple, single solution for all Americans, but I don’t like the idea of taking away benefits from anyone, especially because people are making decisions about where to go for college, and about how much money they should borrow to pay for college, based on the existence of these niche forgiveness programs. I would especially hate to see excellent programs like the Teacher Student Loan Forgiveness Program, the Military Student Loan Forgiveness Programs, the Government Employee Student Loan Forgiveness Program, the Nursing Student Loan Forgiveness Programs, and the Non-Profit Student Loan Forgiveness Program taken away simply for the sake of simplifying the system. And while the attempt to make the same benefits package available to all Americans does seem relatively fair, from the high-level perspective, I don’t agree with the idea of taking benefits away from anyone, or from removing incentives that were created to help encourage people to start working in sectors and at jobs that had a huge shortages of qualified personnel! While streamlining all the Forgiveness that would be a good thing for many borrowers (basically, anyone who isn’t working in one of the occupations listed above, or who isn’t able to qualify for the Public Service Loan Forgiveness Program), it’d be a huge negative for all those people who do currently qualify for the excellent 10 year forgiveness plan created by President Obama’s student loan reforms, so I can’t get behind this part of his proposal. If it’s amended to offer 15 years of forgiveness to everyone on the existing 20 year plan, and to retain the 10 year forgiveness mark for everyone that currently qualifies for PSLF or the other niche-forgiveness benefits, then I’d be able to support this. Fortunately, President Trump himself, and his administration, haven’t made any headway on this part of his proposed reforms. I haven’t heard a single word about them since he originally proposed them, so I’m not all that concerned that this will be enacted into law. President Trump’s original proposal also sought to increase monthly student loan payments by increasing the cap from 10% of discretionary income to 12.5%, and while that 2.5% is a small difference, it would still mean higher payments and more trouble for borrowers. Fortunately, like the previous proposed reforms, nothing has been done on to move this effort forward, with zero support having been shown for the original statement President Trump made back when he was still just a candidate. President Trump has literally not spoken a single word about this proposed change, nor have any of his advisers. There is literally no record of any movement on this promise after it was originally introduced, and no sign of anything happening along these lines any time soon. And that’s a good thing. The Media has offered a little bit of coverage for this proposal, but with far less attention placed on it than for some of the other recent student loan-related issues, like the Consumer Financial Protection Bureau’s lawsuits against Navient and DeVry, or the closures of Corinthian Colleges and ITT Tech campuses across the country. Hopefully, this part of President Trump’s previous proposals will disappear in the woods, and be left off the table should be decide to turn his eye back toward fixing the student loan debt crisis. The best promise Candidate Trump made to Federal student loan holders was that he’d improve on the Obama loan forgiveness program by reducing the number of payments required to earn complete debt forgiveness, and by a significant margin. 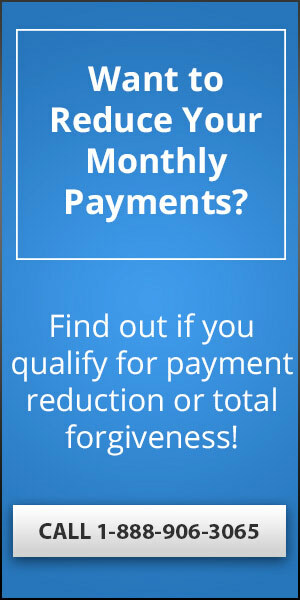 Where President Obama’s forgiveness plan requires 20 years worth of payments (that’s 240 monthly payments), President Trump’s plan promised to offer forgiveness after just 15 years worth of payments were made (that’s just 180 monthly payments). If this promise were enacted into law, it would lead to substantial savings for the vast majority of Federal student loan borrowers, especially since Obama’s 20 year plan requires making so many payments that the eventual amount of money his plan forgives is often a tiny fraction of the original debt. Getting forgiveness a full 5 years earlier, and making 60 fewer monthly payments, would allow many borrowers to save a huge amount of money. Unfortunately, there’s two problems with this proposed change; the first (covered in detail above) being that it’d wipe out the advanced forgiveness benefits packages like PSLF, Military CLRP, Nursing Student Loan Forgiveness, Teacher Student Loan Forgiveness, etc., and the second being that there’s been absolutely zero movement that President Trump plans on following through with his original idea. I would love for President Trump to amend Candidate Trump’s proposal, and say that instead of doing away with all the advanced Forgiveness packages, he’s simply going to supplement the standard Obama promise by reducing general student loan forgiveness eligibility from 20 years worth of payments to 15. That would be a huge sign that he’s serious about dealing with the student loan debt crisis. But the reality is that no one from the Trump Administration has even mentioned this proposal since it was originally introduced, making me quite suspicious that it’ll ever get implemented at all. What Has the Trump Administration Done With Student Loan Debt? So far, the only things that President Trump has done about student loans is make the situation worse, and unfortunately, far worse than it was when he first took office. In fact, not only did Candidate Trump give us a completely inept, totally unqualified, fundamentalist Christian religious nut as the head of the Department of Education (Betsy DeVos for those of you who haven’t been following along), but he’s also allowed her to reverse some of the good reforms implemented by President Obama’s administration. There are two specific things that Betsy DeVos’s Department of Education has gotten entirely wrong, and I want to cover each of them in detail because both are absolutely vital to improving the situation of Federal student loan borrowers. The first major blunder from DeVos was to rollback some excellent new rules that the Obama Administration put in place which required the Federal Student Aid office to carry out a process like the infamous “extreme vetting” when determining which companies would be allowed to operate as Federal student loan servicers. Under the Obama Administration laws, anytime a contract with a student loan servicing company got renewed, the Federal Student Aid Office was supposed to review their performance, and ensure that they were doing a good job providing high-quality service to Federal loan borrowers. Things these companies were supposed to be doing included actually telling borrowers about lower-cost repayment plans, forgiveness benefits, and opportunities to reduce their debt more quickly, as well as actually answering the phones during normal business hours, getting back to people in a timely fashion, and essentially providing legitimate customer service. Unfortunately Betsy DeVos completely removed these requirements, and we’re back to the same old place, allowing the very same companies that were previously removed from Federal student loan servicing getting their old contracts back, and providing the same piss-poor service they got fired for in the first place. In an even bigger slap to the face of student loan borrowers, Betsy Devos’s Department of Education announced that the letters sent out to inform borrowers they had qualified for Public Service Loan Forgiveness may not actually qualify them for receiving the benefit after all. The way that the PSLF program works is that each year, or any time you change employers or positions, you have to submit a form to FedLoan Servicing to prove to them that you really do qualify for the program (based on your employment). Each time those forms were submitted, FedLoan Servicing has responded with a letter of their own stating in writing that the borrower qualifies for the PSLF program, and that their payments will count toward the 120 payment threshold required to receive complete forgiveness benefits. 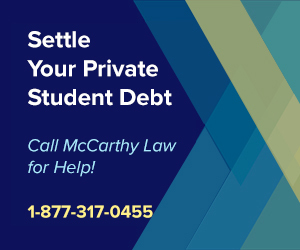 But in March, the Department of Education issued some legal filings stating that is has never issued any approvals for participation in the Public Service Loan Forgiveness Program, which means that any letters sent by FedLoan aren’t legally binding, and that any of your previously approved employers or payments may actually end up not counting toward your 120 payment requirement. The reality is that now the DOE has given itself the opportunity to retroactively deny any of your payments from counting toward PSLF, and they’ve done this just in time too, because the first round of PSLF forgiveness approvals was set to begin in October of 2017. Anyway, none of this is likely to be resolved until October, when people start applying to receive their actual forgiveness benefit, and we find out what Betsy DeVos’s DOE is going to do about it. I’m keeping my fingers crossed, but based on her track record, I’m not all that optimistic that things are going to get resolved properly. Candidate Trump said that the student loan system, just like the tax system, was too complicated, and required far too much paperwork. I completely agreed with this position at the time that he stated it, and I still do now, but what I do not agree with is the way that he proposes fixing the problem. While I would be happy to see some sort of simplification put into place that makes it easier for people to understand what they owe, how much they need to pay each month, when their debt will be fully paid off (or forgiven), and what they can do if they get into trouble because they can’t make their monthly payments, I do not think President Trump’s proposed plan is going to fix all these problems. And while both the existing Federal Student Loan Repayment Plans and Federal Student Loan Forgiveness Programs are overly complicated, especially because there are so many of them, and because they require so much research to determine how they work, I don’t think Trump’s solution is a good one. I do like the idea of consolidating all Repayment Plans and Forgiveness Programs into a single solution, but only if that makes things better for every single Federal Student Loan Borrower. I still believe in the concept of “leave no man behind”, and I think that we need to adopt this military philosophy in other sectors of American life, including the student loan system, which currently leaves all sorts of people out in the cold, allowing them to freeze in financial insecurity. This is especially true for anyone who runs into trouble along the way of the repayment process, and it’s wildly true for anyone with Private Student Loan Debt, which to me, should potentially be outlawed entirely, since all it’s done is generate problems for the vast majority of borrowers with private loans. I do not like the fact that every day, people are asking me whether they should sign up for one of the traditional repayment plans (like the Standard Repayment Plan or the Graduated Repayment Plan), or whether they’d be better served using one of the newer Income-Based Repayment Plans. I don’t like it because the truth is that I can’t even begin to answer that question for them, since each person has a wildly different financial situation, and truly does need to do the math on their own to determine which plan is going to be the best for them in the short-run, medium-run, and long-run. And what makes things worse is that even when they’ve made the decision and enrolled on a plan, future changes to their finances can make their previous decision a bad one, costing them tens of thousands of dollars, which adds a ton of additional stress into the student loan repayment process. I like the idea of simplifying the entire system so that everyone knows exactly what to expect, everyone has access to the same benefits, and everyone knows when their loans will be paid off, as long as they follow the rules, and keep making those monthly payments both in-full, and on-time. Simply put, the current student loan system is far too complicated and way too difficult for the average, ordinary American to understand. I research and write about student loans on a daily basis, and even I get confused sometimes because there are so many different nuances to the way that this thing works. The average American borrower seems to literally have no clue how student loans work, or they wouldn’t be taking out so much money in the first place! Who would finance over $100,000 for a college degree that doesn’t even guarantee a $30,000 annual income? Especially if they realized the implications of compound interest! I definitely applaud Donald Trump’s promise to reform the student loan system, because President Obama’s changes were positive, but did too little to fix the real core problem that most borrowers face. They simply have no idea what to do. They don’t even know where to start! The student loan information war is a real one, every bit as dangerous, stressful, and nefarious as our Drug War, or our War on Terror, and that’s exactly why I created this site in the first place. People have no clue how to deal with their student loan debt, and perhaps Donald Trump’s plan to simplify the entire system will help generate a new era of stress-free student loan repayments. But I do worry that his proposal to do away with some of the exceptional benefits programs, and especially the amazing forgiveness packages offered via the Public Service Loan Forgiveness Program and the Military College Loan Repayment Program, goes too far, and punishes people who definitely don’t deserve to lose access to amazing benefits that they so obviously deserve. Donald Trump’s plan to consolidate all Federal repayment plans and forgiveness programs into a single, uncomplicated system is a great idea, but, in my humble opinion, only if that new plan makes things better for 100% of borrowers. Unfortunately, it doesn’t look like that would be the case if his original campaign promise were implemented as suggested, and that’s why I’m still very concerned about the future of the student loan debt system. Join in on discussion sections like the one below on this page, share my content on Facebook, create your own Blog, write your representative or Senator, or even the Trump administration itself to ask that they make student loan reform a priority. I have a feeling that President Trump, perhaps more than any previous President, does have his ear to the ground and is listening to what the people want, and that he will do things that he thinks the American Public will appreciate and approve of. If we know anything about Donald Trump, it’s that he wants to be popular, that he has a deep need to be liked, and that he is quite open to changing his political stances when he sees winds blowing in a different direction. In President Donald Trump we have a man who craves to leave a legacy, and while he may fail to secure a lasting peace in the Middle East, an end to the War on Terror, and a permanent, significant improvement in the American economy, he could at least significantly improve the financial circumstances of the average American simply by reforming Federal student loan laws. Right now there’s a better chance than ever before that a grassroots movement could accomplish actual change in student loan debt laws, so please don’t neglect your chance at participating in the reform of a brutal system that has forced millions of Americans into unending financial destitution. Please spread this message as far and as wide as you can, because the more people who read these words, the better the chances we have at dealing with the student loan crisis, a real threat to our national security, and a huge problem for the average American.